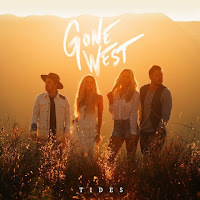 Comprising two-time Grammy Award winner Colbie Caillat, multi-platinum singer/song-writer Jason Reeves, four-time Hawaii Music Award winner Justin Kawika Young and ACM/CMT-nominated Nelly Joy, Gone West released their debut EP Tides on 18th January. Containing four original tracks, the EP firmly places Gone West as a group to watch within country music. I have been a fan of Colbie Caillat's for a long time now so was intrigued to see what Gone West would produce and Tides certainly doesn't fall short. Full of compelling melodies, slick vocals and emotive lyrics, the quartet work extremely well together and have created four very strong songs. Two in particular stood out for me, EP opener Gone West and EP closer This Time. Both are very different but both equally as strong in their own ways, they feel like perfect choices to open and close Tides. Gone West is a homage to the group's roots and hearing all four of the group sing solo at various points makes the track feel personal to them as well as giving listeners a solid introduction to a group they may not have heard before. Opening with a catchy drum and guitar beat that will leave you tapping your feet along and with a chorus that you just want to turn up loud and sing along to, I can really imagine the track sung by a group of friends round a campfire on a beach (trust me!). It feels as though the quartet are really enjoying themselves throughout, something that, alongside the overall strength of the track, is sure to keep listeners coming back for more. I recently heard that a survey was circulating as to what the group's debut single should be - it's got to be Gone West. EP closer This Time is the softest track on the release. A track that made me cry the first time I heard it (and a few times since! ), This Time is full of emotive lyrics delivered by Colbie's lead vocal. The harmonies in particular are goosebump-inducing, giving all the more power to the lyrics. With the main instrumental lead coming from an (effortlessly played) soft acoustic guitar, the overall production seems to cushion the group's vocals extremely well. Listen out for a snippet of the Free Fallin' guitar hook as well! An absolutely gorgeous track that truly deserves to be embraced, enjoyed and played time and time again. I honestly can't recommend this EP enough, it sounds incredible. 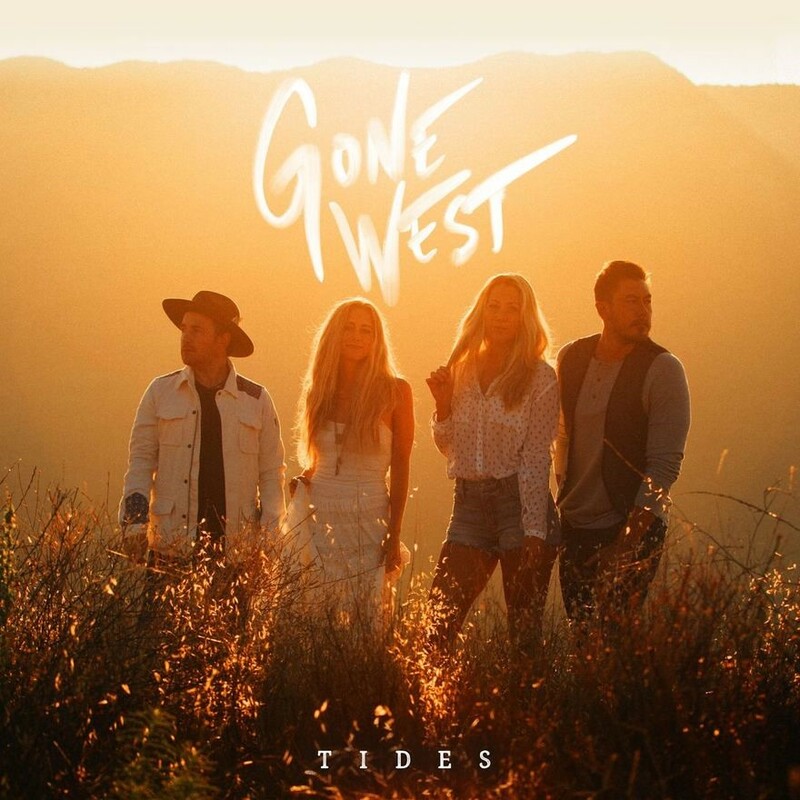 I am extremely excited about what we will hear from Gone West with future releases and would definitely say Tides is an EP that belongs in every country music fan's collection. A quartet that will surely go very far. Abby Anderson - "I'm Good"